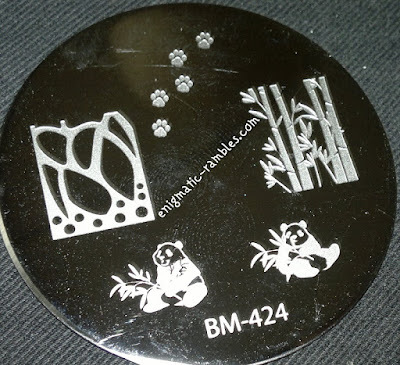 On BM424 there are two full nail images and three smaller ones. 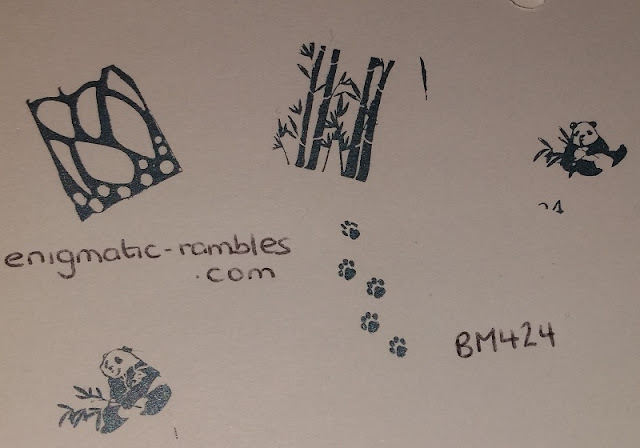 All of the images stamped across easily. I like the paw prints a lot and should use the butterfly wing image but it is a bit too small for my long nails at the moment. You can see all of the designs I have used this plate in here.